In April 2016 Family Matters welcomed Miss Penny to the team. 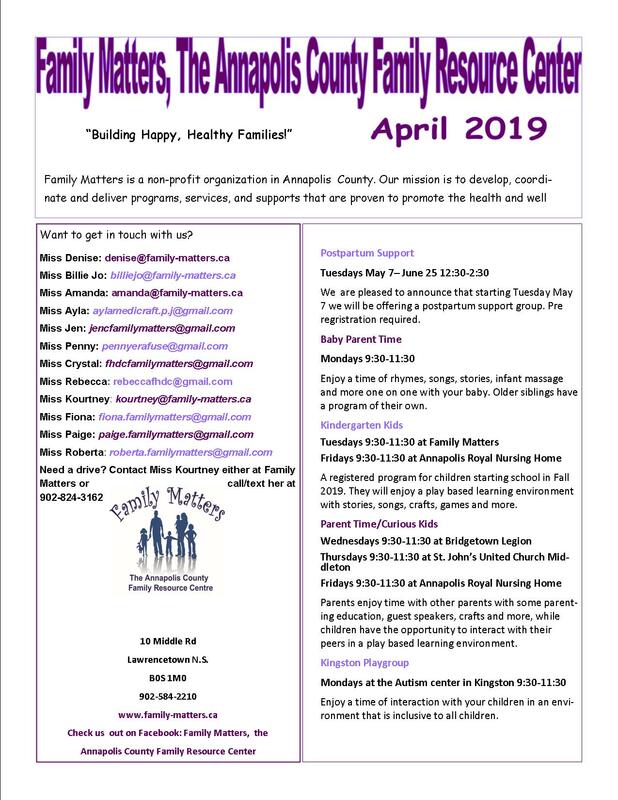 You will find her in groups with children throughout Annapolis County, or busy making Chatterboxes, Quiet Boxes or other resources that will benefit the learning of young children. New this fall: Miss Penny will be partnering with the Autism Center to provide a Special Needs Playgroup on Thursday afternoon from 1:00-3:00p.m. Miss Penny comes to us with over 15 years of Experience in Early Childhood Education. She has an advanced diploma in Behavioral Interventions.